A few opportunities that are coming up soon are mentioned below. Spread the word if you see something your student might be interested in! 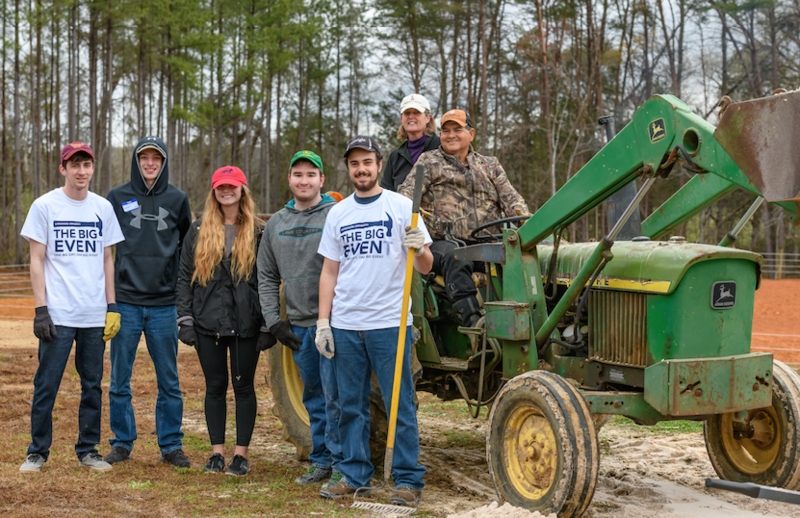 Service is at the heart of citizen leadership at Longwood, and our annual Big Event service project makes it easy for students to show they are part of the Farmville community. Each year hundreds of students volunteer for a variety of projects, including yard work, painting and clearing debris. Students can sign up to participate here: The Big Event Sign Up. Students line up to sign in for their service projects. Organizations and individuals throughout the Farmville community can request help during the Big Event. Saturday, March 30, 8 a.m. to 3 p.m.
Studies have shown that in one year a 10-year-old tree absorbs 48 pounds of carbon dioxide. In that same time, an acre of trees absorbs about the same amount of carbon dioxide produced by driving a car 26,000 miles. 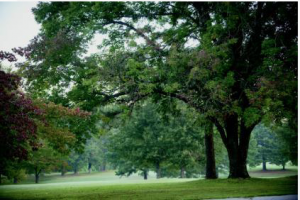 There are about 650 trees on the Longwood campus, and we’re always working to add more. 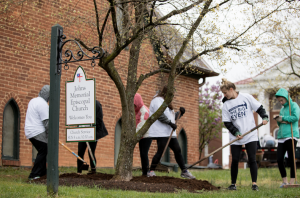 Each spring, students can learn about the value of trees and contribute to the environmental health of the Longwood and Farmville community by helping plant trees on campus. Students can sign up to participate here: Annual Tree Planting. Students can help plant trees on the Longwood campus on March 30. More than 50 species of trees can be found on Longwood property. Monday, April 1, 5 p.m. If your student is interested in graphic design as a career, this talk should be inspiring. Antonio Alcalá, owner of Studio A in Alexandria and an art director for the U.S. Postal Service Stamp Division, is Longwood’s Rosemary Sprague Visiting Designer. His clients include the National Gallery of Art, National Portrait Gallery and the Smithsonian American Art Museum. Alcalá also is an adjunct faculty member at the Maryland Institute College of Art. Tuesday, April 9, 9 a.m.-2:30 p.m. This personal finance simulation is designed to give students an accurate look at their current financial situation or their financial outlook after graduation. It’s a way for students to explore the serious business of how to manage their own finances in a fun atmosphere. Thursday, April 18, 8:30 a.m.-5:30 p.m. The core exhibits at the Virginia Holocaust Museum in Richmond narrate the complex and sobering history of the Holocaust. Visitors are presented with a glimpse into the genocide of 6 million European Jews in the 1930s and ’40s and, more broadly, into the dangers of intolerance. The Nuremburg Trials were the first international trials of major Nazi war criminals. 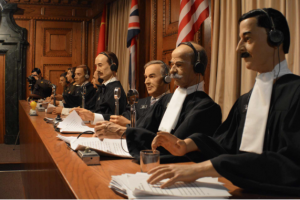 The Nuremberg Courtroom Exhibit gives visitors the chance to see a full recreation of Room 600 at the Palace of Justice used during the International Military Tribunals, and to experience the gravity of the trials. Three hundred artifacts and the testimonies of local Holocaust survivors expand on this history, representing the tangible and personal realities of this tragic event. Transportation (via bus) and admission to the museum are free. Faculty may give students an excused absence if it’s for an educational activity. If your student has class this day and they’re interested in participating, they should check with their professor(s). My daughter is now in the spring semester of her senior year, and, for the first time, she sent me her midterm grades—without my asking. I’m sure the reason is that she had all A’s for the first time. Looking back, her explanations for previous less-than-stellar midterm grades probably contained at least a grain of truth: not much work graded yet, not all grades factored into the midterm average, forgot her calculator for her first accounting test, etc. I hope you find the information below helpful. 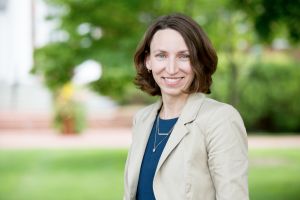 Dr. Emily Heady is the senior director of student success and retention at Longwood. What is the purpose of midterm grades? They’re sort of like split times in a long race—they let you know what your progress is at the halfway mark. They can be encouraging, or they might be an indication that you need to pick up the pace. Do all faculty report midterm grades for every class? No. They’re required for all freshmen, as well as for some other populations (ROTC and students in academic difficulty, for example). Otherwise, midterm grades are optional. Why should parents ask to see midterm grades? Every semester, I get calls from parents who weren’t aware their students were in trouble in particular courses. My first move is to check the midterm grades, and, most of the time, the student had plenty of warning. If you’ve got all A’s and B’s, that simply means that what you’re doing is working—so keep it up! If the grades aren’t what you hoped for, it’s still good to have the information. If you want to stay in the class, know that there’s still time to regroup. In most college classes, the majority of the points are awarded at the end of the term. A grade of C or lower at midterm would be an indication that you need to use your resources: Visit the professor during office hours, use the Writing Center or Center for Academic Success, and/or make changes to your study habits. If you’re simply lost in a class, you may want to think about withdrawing and trying it again at a later point. If you want to withdraw, be sure to speak to your academic adviser, as lowering the number of credit hours you’re taking below 12 might have implications for your financial aid. What should students keep in mind if they’re considering withdrawing from a course? Withdrawing may be a good option if the student can afford to hit the “pause” button and take the course again at a later time. But there may be consequences. First, if the student’s credit hours for the semester dip below 12 hours, their financial aid may be affected. Also, if they withdraw from a course that they need to stay on track for their major, they may not be able to graduate at the time they originally planned. Is Longwood able to provide parents with access to their student’s grades? Students’ records are protected by FERPA (Family Educational Rights and Privacy Act), and we follow those policies. That means we can’t give out grades unless the student has signed a release. If students have signed a release for their academic records, we are able to discuss their academic progress with parents, but we have to do so in a way that’s in the student’s academic interests. Typically, if a parent calls wanting grades, we’ll respond by asking the student to share them, or we’ll offer to serve as moderators in a conversation in which the student and parent discuss the grades together. We won’t simply tattle, as it’s not in the student’s best interests. We honor the students as the legal adults that they are and help them learn to have the grownup conversations that will continue to be part of their lives. At what point are midterm grades a red flag? A grade of D or F is definitely something to worry about. A C might be something to worry about, but isn’t necessarily, depending on the types of assignments that the grade includes. If the grade mostly reflects one big exam and the student is a better writer than test-taker, a C might turn into a B—but it’s still worth watching! 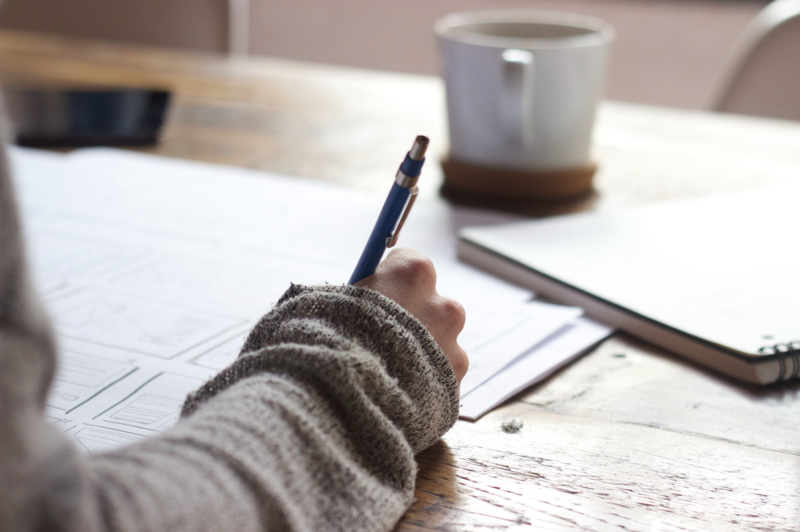 Especially in “make-or-break” classes—those typically challenging courses that students need to complete as requirements of their major—we want to see strong performance. Grades in these classes usually indicate whether a student will succeed in a particular major. What can parents do to help students whose midterm grades are of concern? *First, ask your student if they’re going to see their professor during office hours (which are designated times when faculty are in their offices and available to talk to students). The faculty member is the first and best resource. *Ask your student if they’ve used tutoring resources, and encourage them to reach out. *Ask your student how they’re spending their time, especially if they’re doing their work BEFORE they socialize. *Ask what their plan is to get back on track. Personnel in the Center for Academic Success are always ready to meet with students who need to make a game plan. What questions should a student ask themselves to determine whether or not they’re able to recover from a low midterm grade? *How may points are left? *Can I get the grades I need on the remaining assignments? *Can I commit to increase my study time? *Can I make some life decisions that enable to me set a new course? What steps can students take before midterm to be sure they’re on solid ground academically? Students who do well typically go to class, turn in all their work in a timely fashion, use office hours and other resources as needed, and make healthy life choices. The fastest way to get off track is to skip class. There are attendance policies, and students will often miss important instruction and even opportunities to earn points if they skip. The second-fastest way is not to ask for help when you need it. Longwood is a very success-minded place. We want students to do well, and we have all kinds of resources to help this happen. But if students don’t use the resources, we can’t help. Encourage your student to ask. Why is it better to drop a course earlier in the semester than to withdraw after midterm grades? Dropping has fewer consequences than withdrawing. If a student drops during the add/drop period, they have a chance to add another class in place of the one they dropped. Dropping has no financial implications, and the student will receive a full refund for the class—though they still need to be careful to maintain the required number of credit hours and to be mindful of their progress toward degree. What’s the most important thing for parents to remember about midterm grades? They’re not the final word. They’re a helpful indication of progress thus far, and that’s how they should be taken—as something that’s meant to help. Ultimately, the burden is on the student to take action. Longwood stands ready to help, but the student needs to ask. Most colleges and universities have a dean of students, a person whose responsibilities vary by institution but generally involve serving as a point of information for students and responding to students’ needs. At Longwood, Larry Robertson fills this role. Basically that means students are the center of his work universe. 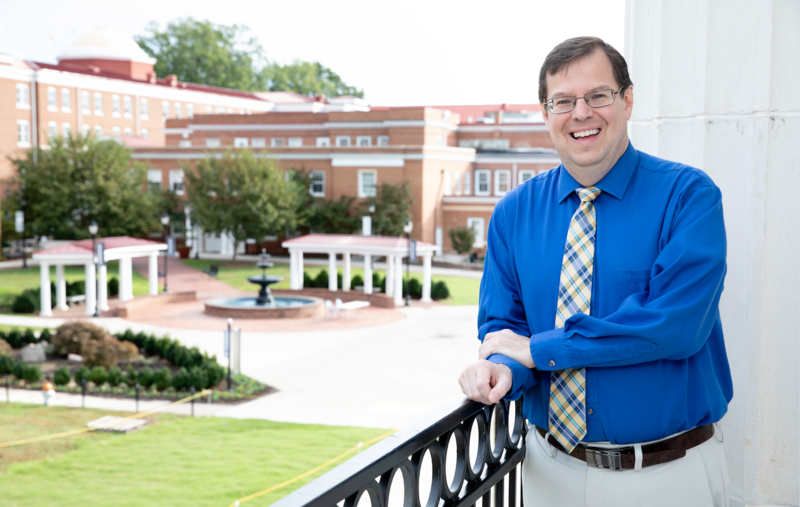 A 1990 Longwood grad himself, Robertson has worked at the university nearly 20 years, and was named dean of students in 2012. 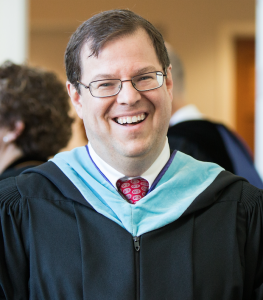 Thinking you might be interested in knowing more about Robertson and the Office of the Dean of Students, I posed some questions for him. I hope you find his answers helpful and informative. Contact information for the office is at the end of the post. What offices report to the Dean of Students Office? Residential and Commuter Life and the Office of Disability Resources. There are so many things to love about my job. I never know what to anticipate, and I am never bored. More importantly, I work with an incredibly caring and professional staff who are dedicated to meeting the needs of our students. But I have to admit that watching students grow throughout their careers at Longwood and then hearing about their successes after they leave is by far the best part. How does it feel to be helping students at the same school where you were also a student? Do you think that gives you an advantage in your job? If so, how? I have always said that coming to Longwood as a student was the best decision that I ever made. It became a second home to me. Although the campus has changed a great deal, it still feels like home to me. In many ways, my remaining at Longwood gives me a chance to re-pay the faculty and staff who inspired me to grow as a student and a leader. Being an alum is an advantage. Students enjoy hearing about what they call “old” Longwood. I can talk to them about life at Longwood before cell phones and Google. I can also help them learn about and enjoy our many traditions. Most importantly, the students keep me young! Dean of Students Larry Robertson, ready to participate in commencement ceremonies. What are the main services that your office provides to students? The Office of the Dean of Students provides programs, services and referrals that support student success and foster the development of citizen leaders. Our staff is available to answer questions, point students and families in the right direction to get the information they need and serve as a single point of contact in time of crisis. We collaborate with partners across campus to foster involvement, promote responsible decision making and enhance student learning. We strive to be available for all students and their families and to be a liaison between the students and the rest of the university. We may not know the answer to every question, but we will make sure that we refer you to the right person. One of our biggest initiatives is the management of the Care Team. The team comprises representatives from across campus who meet regularly to discuss and develop interventions for individual students before their behavior escalates and becomes detrimental. We make every attempt to ensure that the students do not even know that we are intervening and that they are learning to solve problems for themselves. Are you working on any new initiatives? We have worked with the Longwood Foundation to set up Longwood Cares—A Student Emergency Fund that will provide money to students in need of items not provided by other offices or funding resources. We are also working to develop a series of programs on civility and diversity issues. What is the best way for students and parents to contact you? Parents and students can contact us by phone at 434-395-2485. They will probably speak with Tracey Jarrett, who is the true expert in our office. They can also send an email to CareTeam@longwood.edu. For those of you whose students are graduating in May or who want to do an internship this summer, it’s not too early for them to start looking into opportunities. The good news is that there are two great events happening this month right on campus where students can meet with potential employers. Longwood also has a Career Services office staffed with career coaches who offer advice and guidance. Students who are thinking about a career in education can take advantage of this fair, which will bring representatives from more than 70 school districts to campus to talk about jobs in their schools for Longwood students who are graduating and will have a standard teaching license. Districts planning to attend include Chesapeake, Richmond, Fairfax, Roanoke, Stafford, Virginia Beach, Newport News and Williamsburg-James City County. 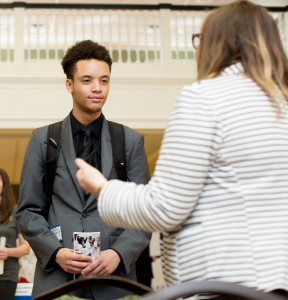 Some of the districts will also be conducting interviews with potential candidates after the fair from 12:30-4 p.m.
A variety of companies will be represented at this fair to discuss job and internship opportunities. Even though the event is almost a month away, more than 40 companies and organizations have already signed up. Among the employers scheduled to attend are CarMax, CapitalOne, the Federal Reserve in Richmond, National Ground Intelligence Center, Enterprise Holdings, Centra and Walgreens. 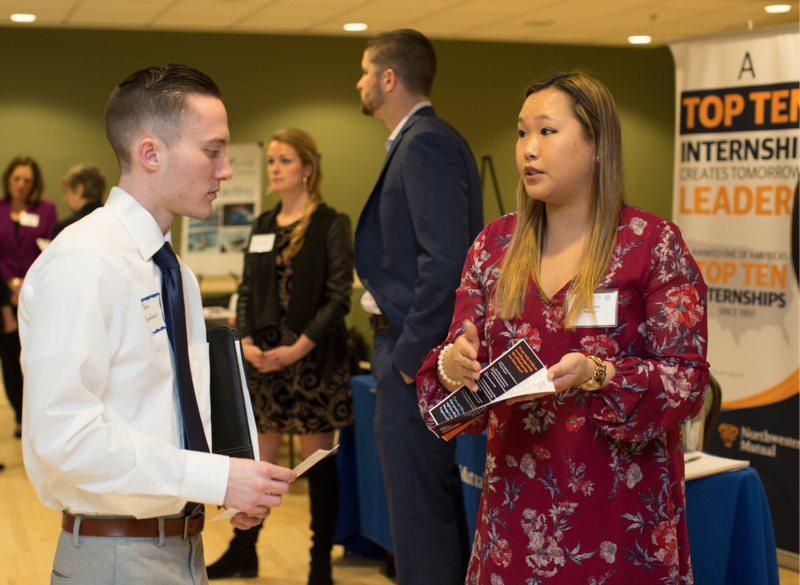 Both of these fairs are sponsored by Career Services at Longwood, which offers many additional services to help students find jobs and internships. Career Services offers walk-in hours, but staff encourage students to make an appointment for a one-hour, one-on-one meeting with a career coach. The phone number is 434-395-2063. Best of luck to your student in their search for a job or internship!